Doctors selling dubious stem cell treatments isn’t just a problem in the U.S., suggests a new study published in Regenerative Medicine. Clinics in Canada are also marketing these treatments directly to consumers, the study found, and seemingly misleading them about their benefits and risks. 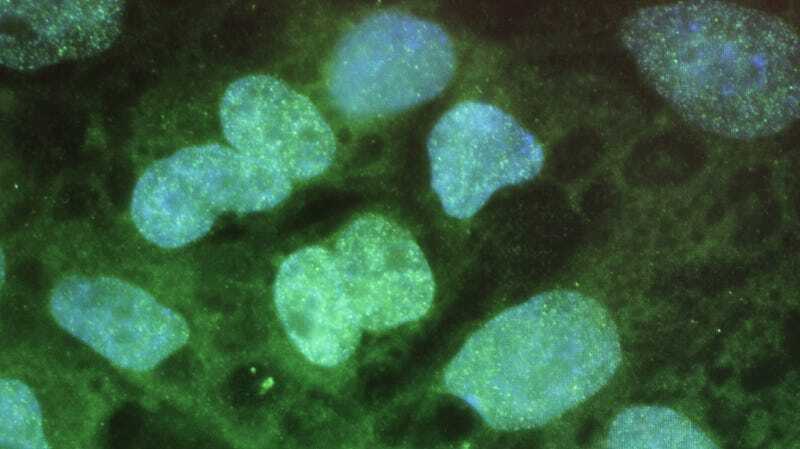 Stem cells are cells that can mature into other types of cells. That’s made scientists interested in using them to repair or replace parts of the body that are otherwise too damaged to treat, like our joints or spinal cords. Scientists already use a form of stem cell therapy—bone marrow transplants—to treat certain cancers and autoimmune diseases; others hope to someday use them to regrow whole new organs, like our eyes. The stem cells most studied for their potential are known as autologous adult stem cells, which are stem cells taken from a person’s own body. And it’s these cells that are most often offered as treatments by these clinics. But while the potential is definitely real, there’s often little to no clinical research supporting the use of stem cells to treat the sort of conditions these clinics—especially those in countries with loose regulations—advertise them for, ranging from Alzheimer’s disease to erectile dysfunction to even HIV/AIDS. Leigh Turner, a bioethicist at the University of Minnesota, has spent the past few years studying and criticizing the rise of clinics selling unproven stem cell treatments within the U.S. But as a Canadian citizen, he’s also been interested in the growth of clinics there as well. For his latest study, Turner conducted an internet search of Canadian businesses directly marketing and providing stem cell treatments to online consumers within the country. He found 30 such companies selling their wares at 43 clinics. The majority of these clinics were located in the central province of Ontario. On the websites of these 30 stem cell businesses, 26 promised to help people with muscular and skeletal problems; 23 promoted stem cells for pain relief, and 14 said they would help with sports-related injuries, according to the study. Turner also found these businesses often claim that their treatments can regenerate people’s damaged tissues, joints and bones, provide years of or even permanent pain relief, and treat otherwise incurable health problems. But few, if any, of these claims, are backed up by clinical data, according to Turner. He also found that clinics rarely provide any information on how their patients turn out. By contrast, only 16 businesses discussed the potential of health risks from their treatments, with just two listing any serious ones, according to Turner. And three of these websites blankly claimed there were no major risks at all. In reality, these treatments aren’t harmless at all. There have been reported incidents of people becoming permanently blind, completely paralyzed, or even dying after receiving stem cell injections. And while these injections are usually sourced from a person’s own body, the risk of contamination isn’t zero either. The Food and Drug Administration has also received reports of serious infections following treatment. There’s also the emotional pain these clinics inflict when their miracle treatments don’t do anything at all. “Offering patients hope when in fact what is being extended is false hope can be damaging to patient-physician relationships and result in substantial loss of trust,” Turner noted. Because these therapies aren’t approved by regulatory agencies in the U.S. or Canada, nor covered by insurance companies, patients pay out of their pocket for them. And they can cost thousands. Oftentimes, patients even pay for the privilege to enroll in small clinical trials created by the clinics, allowing them to escape any scrutiny. The scale of stem cell clinics is certainly far larger in the U.S. In a 2019 study, Turner found there were nearly 800 clinics selling unapproved stem cell treatments. But the FDA has at least begun to take action. This year, it filed legal injunctions in order to shut down two clinics in Florida and California that have allegedly harmed patients. In Canada, Turner found no evidence that counterpart agencies such as Health Canada have taken any disciplinary actions against these businesses or doctors employed at their clinics.